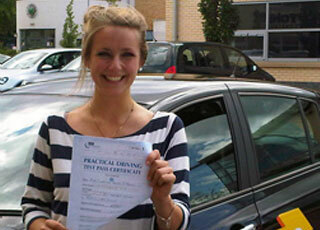 Welcome Go 2 Pass driving school Bury – Driving lessons Bury and all surrounding areas. Are you wanting driving lessons in Bury? Our driving school is a place where you can get expert advice on learning how to drive in the Bury area. 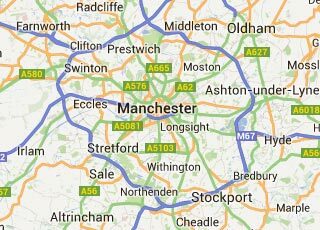 We have extensive knowledge of the current test routes in the area and can help you learn to navigate them with ease with our top quality driving lessons. We want the whole process of your learning to drive to be a positive experience, and this is key in all that we do at our Bury driving school. As a team of driving instructors in Bury, we have also been on the student side of this process, so we know exactly what you might be feeling! Nervous, excited, worried about the practicalities – let us help put your mind at ease and give you an overview of what you can expect from our company. When you first drive in a driving instructors car, it can seem a bit different from vehicles you may have already practiced in or ridden in as a passenger. With dual controls, you will be able to control the car as you drive but so will the professional, qualified instructor next to you. Guiding you all the way, this tool means you never need to feel concerned for your safety as even if you make an error while undertaking driving lessons with us our driving instructors in Bury will keep you driving smoothly and safely. With a team of both male and female driving instructors based in Bury, we are confident we’ll be able provide you with a great match. It is important to us that you and your driving instructor become a good team, as this will be a key factor in the success of your driving lessons Bury. A good understanding of one another will aid your learning no end, and with such a range of friendly and approachable driving tutors to choose from we think you’ll be spoilt for choice. If you’ve had some driving tuition from those close to you on an informal basis, you may well have already got a level of understanding of the basic skills you will require for driving lessons Bury. Even if you’re totally new to driving however, we can help you master driving from wherever your begin your journey. Bury can provide you with a great variety of environments within which to test your new abilities, from tight corners to large roundabouts. This way we know that by testing each new area you learn with us, you’ll be ready for a test in no time. That said, you won’t ever feel pressured by our driving school Bury to move too fast in your learning. Although we obviously hope you’ll come on in the leaps and bounds, we totally understand that everyone has their own pace of taking in new information. It can seem like a lot to learn and we take every lessons Bury on an individual level, so you won’t ever do something you don’t feel happy taking on. We have 80% pass rate and that is for first practical tests, so you can imagine why so many students want to learn with us. Make yourself one of that number and ask us about driving lessons in the Bury area – we are sure you won’t be disappointed. For us, a great driving schools in Bury should be proven by its results and it is our professional team of male and female instructors in Bury that have helped put so many students into the world of driving. when you start driving lessons Bury with us, ask us about the theory tests, where you should start or how we can fit in with your schedule by getting in touch. We are always happy to help address any concerns you might have, and want to make learning to drive something you can look forward to experiencing. So to book your driving lessons Bury or if you have any questions or concerns regarding driving lessons bury give us a call.